Indulge in traditional offerings of ribbon sandwiches, savoury canapes, exquisite pastries, freshly baked scones, and an array of sweet treats, served on an elegant three-tiered stand. Compliment your food with a freshly brewed cup of hot beverage or a variety of teas. Catering for groups of any size and for any occasion! Gluten free option available at additional cost. Pre-bookings with payment essential, phone 3488 1199. *Please note: High Tea's are served promptly at 2.30pm. 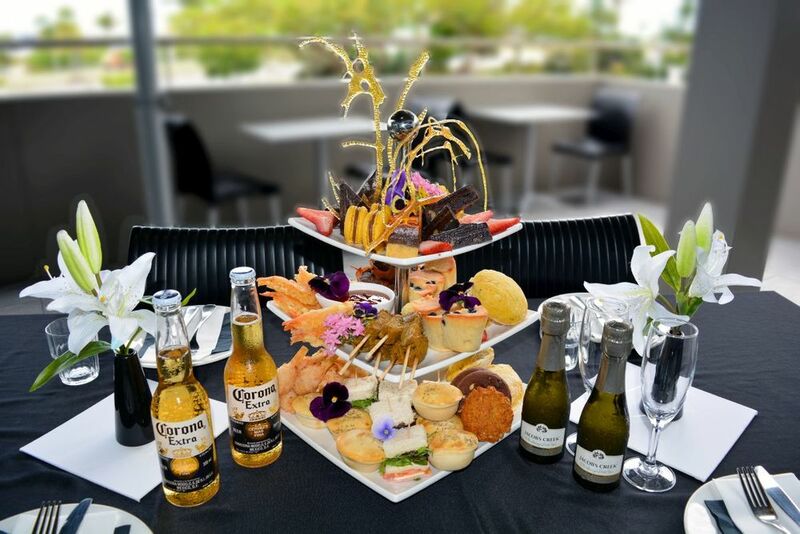 Platinum Platters bring further class and sophistication, showcasing a blend of traditional offerings, bite sized delicacies and Tapas treats, accompanied with a choice from our premium beverages menu*. (*JC Pinot Noir Chardonnay Piccolo, a bottle of Premium Beer, 187ml bottle of red or white wine, cocktail, a soft drink or hot beverage of your choice). *Please note: Platinum Platters are served promptly at 2.30pm.